An enigma – unique to flowering plants – has been solved by researchers from the University of Leicester (UK) and POSTECH, South Korea. The have learned how 'double fertilization' exactly works. The discovery will be reported in the journal Nature on 23 October 2008. Scientists already knew that flowering plants, unlike animals require not one, but two sperm cells for successful fertilisation. The mystery of this double fertilization process was how each single pollen grain could produce ‘twin’ sperm cells. One to join with the egg cell to produce the embryo, and the other to join with a second cell in the ovary to produce the endosperm, a nutrient-rich tissue, inside the seed. Double fertilisation is essential for fertility and seed production in flowering plants so increased understanding of the process is important. Now Professor David Twell, of the Department of Biology at the University of Leicester and Professor Hong Gil Nam of POSTECH, South Korea report the discovery of a gene that has a critical role in allowing precursor reproductive cells to divide to form twin sperm cells. The key discovery is that this gene, known as FBL17, is required to trigger the destruction of another protein that inhibits cell division. 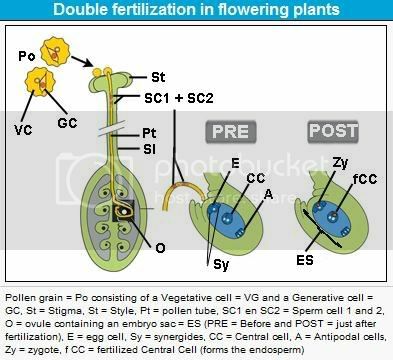 The FBL17 gene therefore acts as a switch within the young pollen grain to trigger precursor cells to divide into twin sperm cells. Plants with a mutated version of this gene produce pollen grains with a single sperm cell instead of the pair of sperm that are required for successful double fertilization. Removal of these blocks promotes the production of a twin sperm cell cargo in each pollen grain and thus ensures successful reproduction in flowering plants. This discovery is a significant step forward in uncovering the mysteries of flowering plant reproduction. This new knowledge will be useful in understanding the evolutionary origins of flowering plant reproduction and may be used by plant breeders to control crossing behaviour in crop plants. Researchers at the University of Leicester are continuing their investigation into plant reproduction. Further research underway in Professor Twell’s laboratory is already beginning to reveal the answers to secrets about how the pair of sperm cells produced within each pollen grain aquires the ability to fertilize. Prof Twell’s work, in the Department of Biology at the University of Leicester is financially supported by the UK Biotechnology and Biological Research Council (BBSRC). 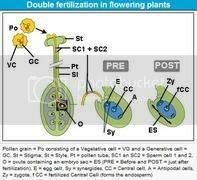 Image 1: the mechanism of double fertilization. Credit: Lidwien van der Horst, Radboud University, Nijmegen. David Twell and Hong Gil Nam, - no reference online yet.